The UK Government has pledged to help attract global investment for Aberdeen’s £150 million Queen’s Square project. 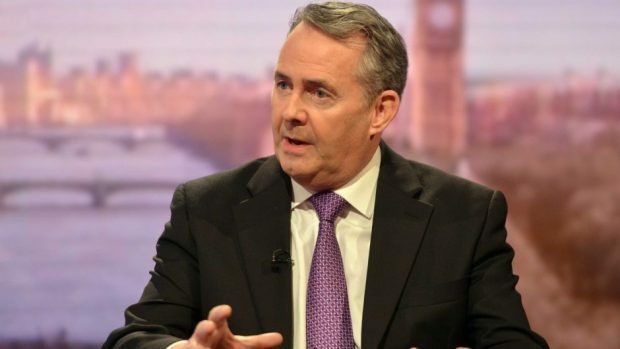 It has been identified as one of 68 key projects by International Trade Minister Liam Fox. He hopes to be able to attract £30 billion from overseas investors to support their development. The Queen’s Square scheme will look to revamp the historic heart of Aberdeen, opposite Marischal Square, and includes 350 new homes as well as hotels and shops. It also involves the demolition of the police headquarters at Queen Street to transform the area and give a greater prominence to the Lemon Tree and Aberdeen Arts Centre. Aberdeen City Council approved the plans in June 2015 and has set up a £20 million city centre infrastructure fund to kick start investment. Scottish and UK investors have already been targeted and now Dr Fox will try to pull in more money from overseas investors. He said: “This is a bold and ambitious programme, building on the UK’s position as the leading destination for foreign investment in Europe and helping to build a Britain fit for the future. The launch was supported by Confederation of British Industry (CBI) director general Carolyn Fairbairn. She said: “The UK has a strong standing when it comes to attracting investment to these shores. That investment leads to real, tangible benefits for people and communities – more jobs, prosperity and choice.